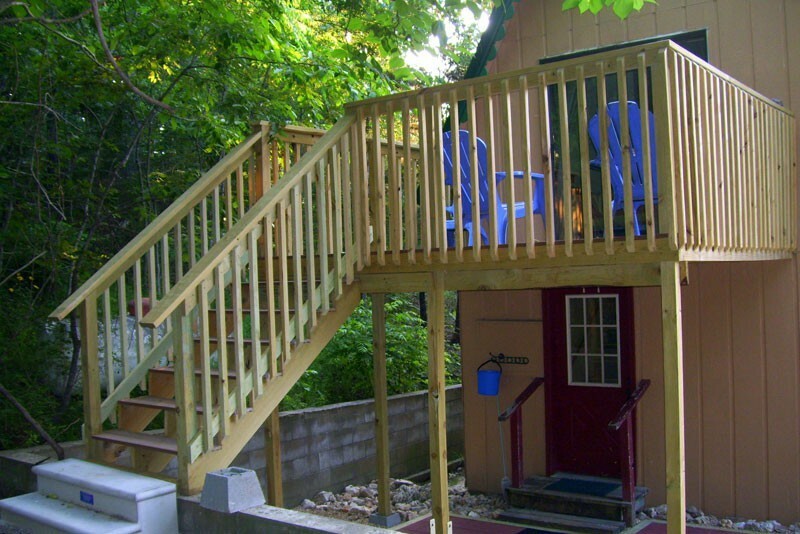 Experience the sunrise from your deck for a morning you won't soon forget. 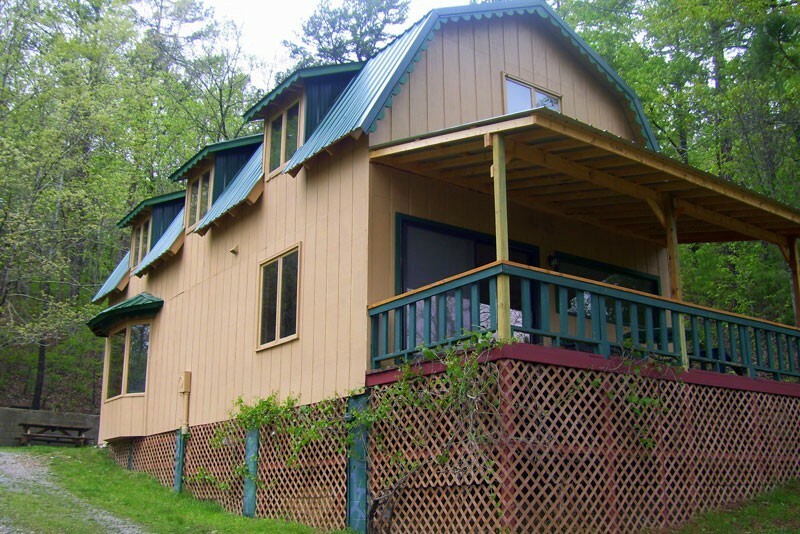 The Chalet is a two story bungalow with 2 full baths, 2 1/2 bedrooms, and a fully equipped kitchen. 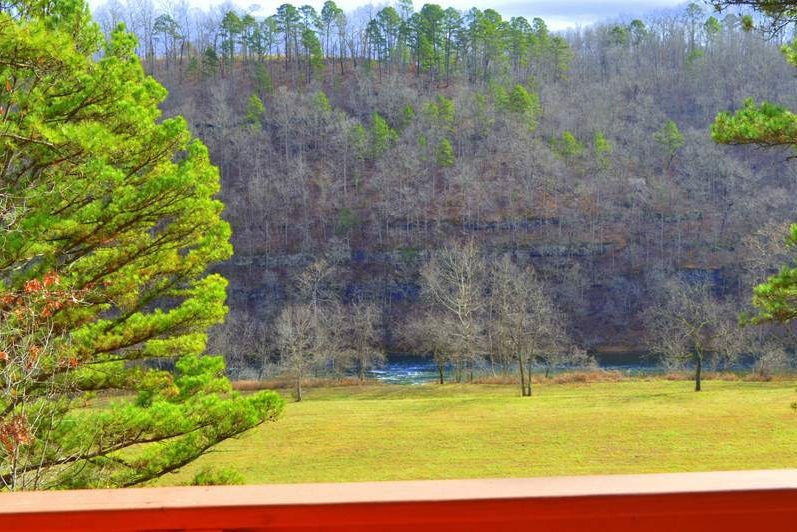 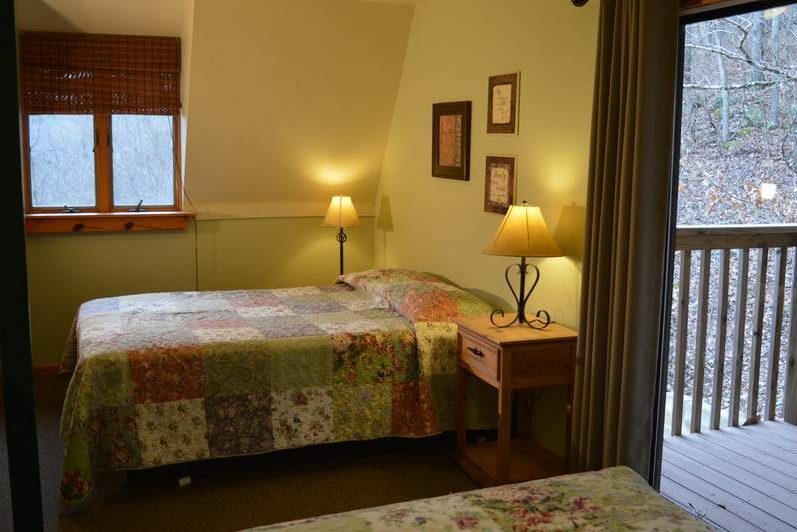 Enjoy the tranquil view from the large balcony overlooking the Falls of the North Fork River. 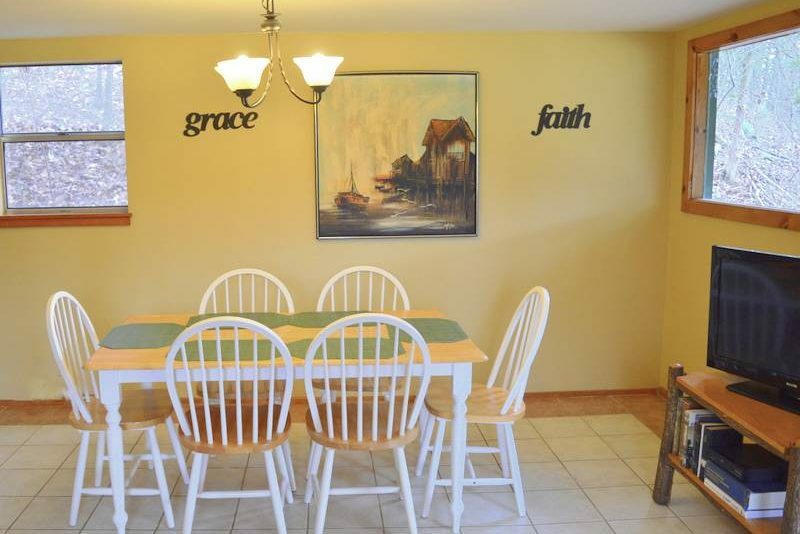 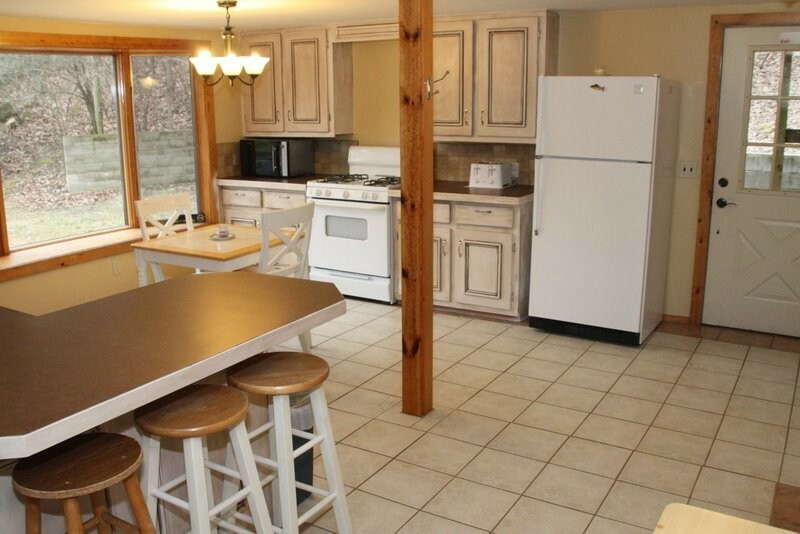 The Chalet kitchen is spacious, complete, and modernly equipped. 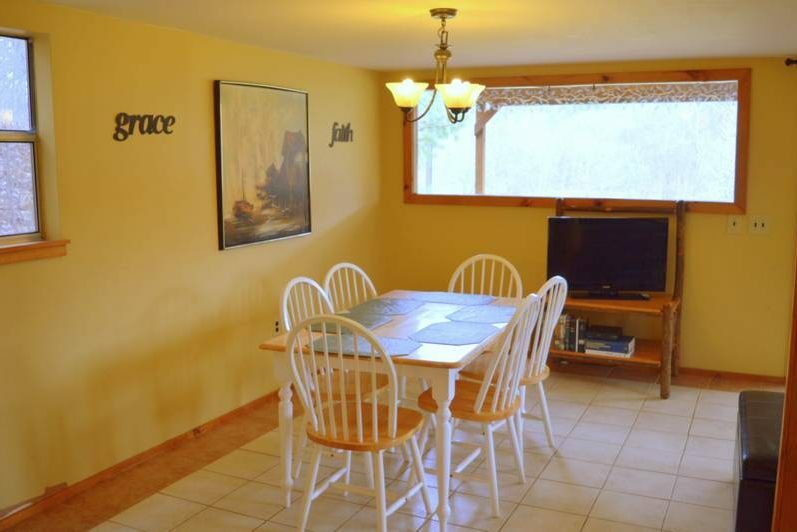 Everything from pots, pans, and flatware is included for your cooking convenience. 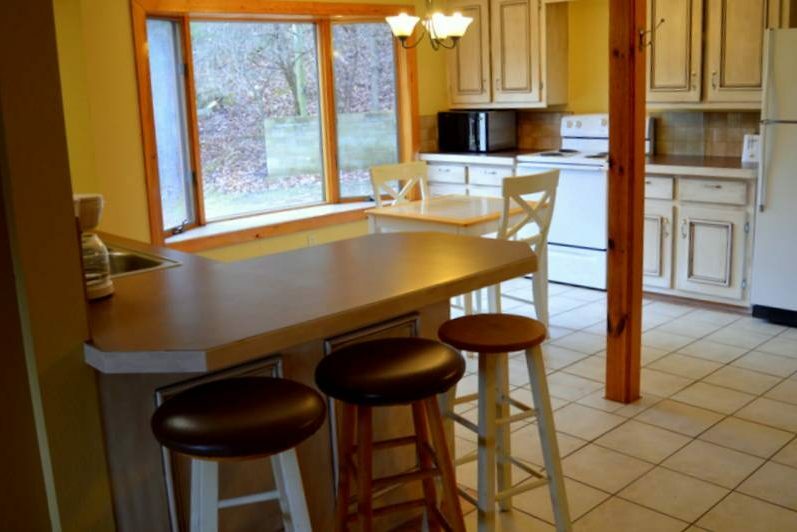 The stove, microwave oven, and refrigerator make cooking as easy as it is at home. 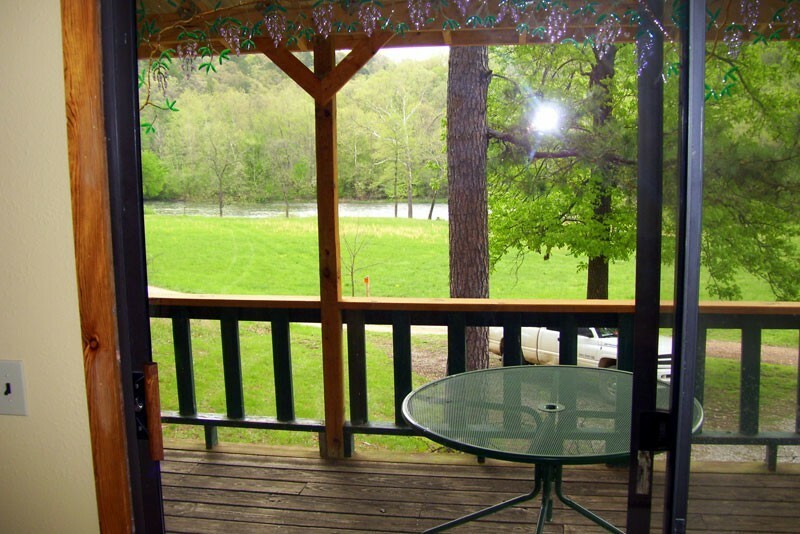 Enjoy the amazing view of the Falls, and the North Fork River from your perch on the deck. 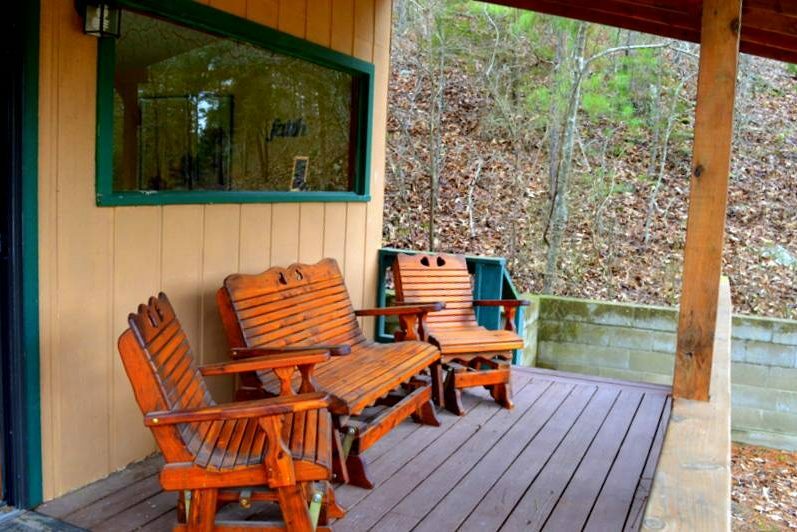 Enjoy a great conversation with family or friends while you sit at the table and chairs on the deck, with the stars to light your evening and the sound of the river in the background. 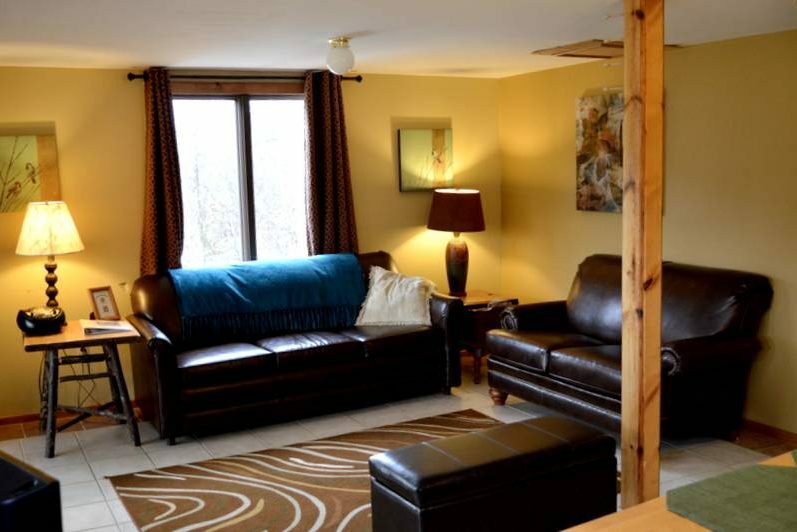 The Chalet's living room is spacious and spectacular with its double doors leading to the private deck. 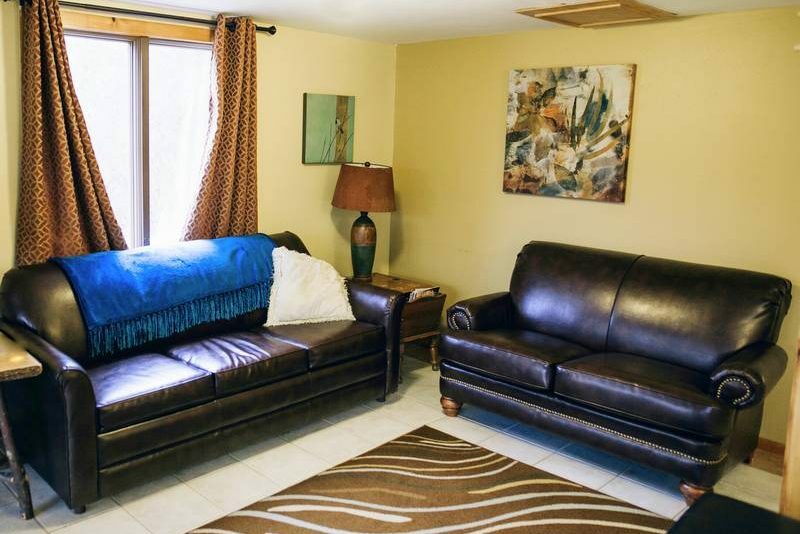 The sleeper sofa makes this room versatile. 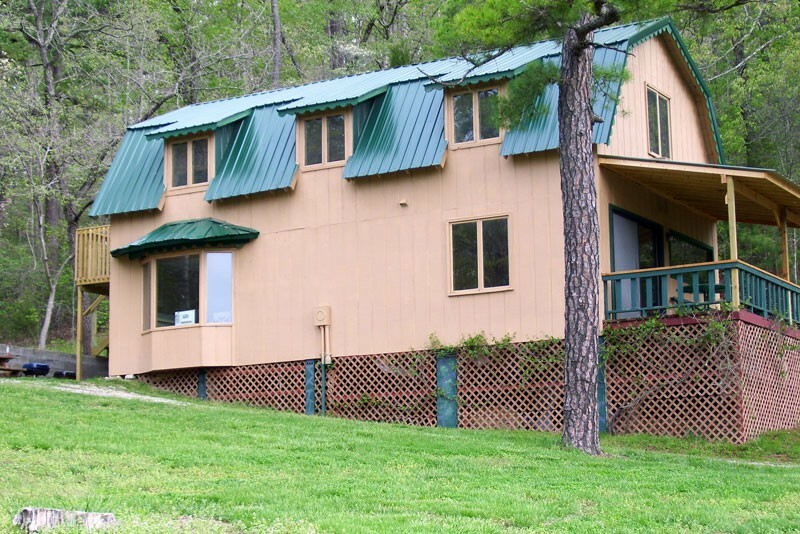 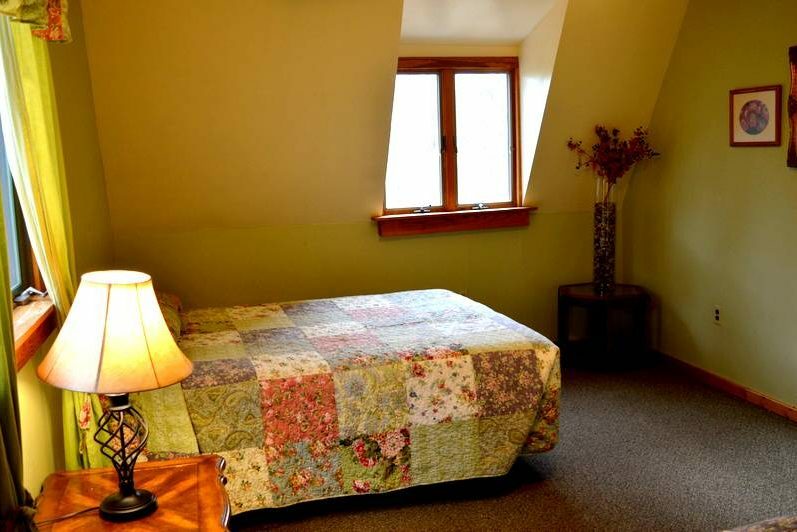 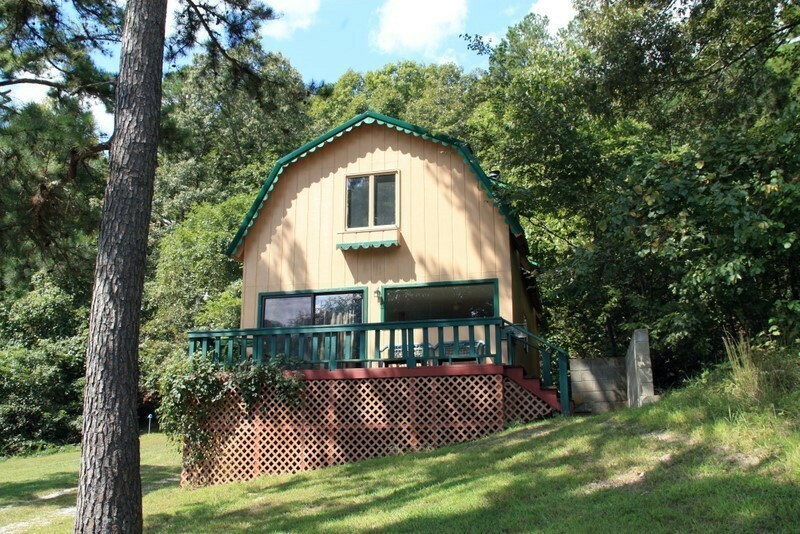 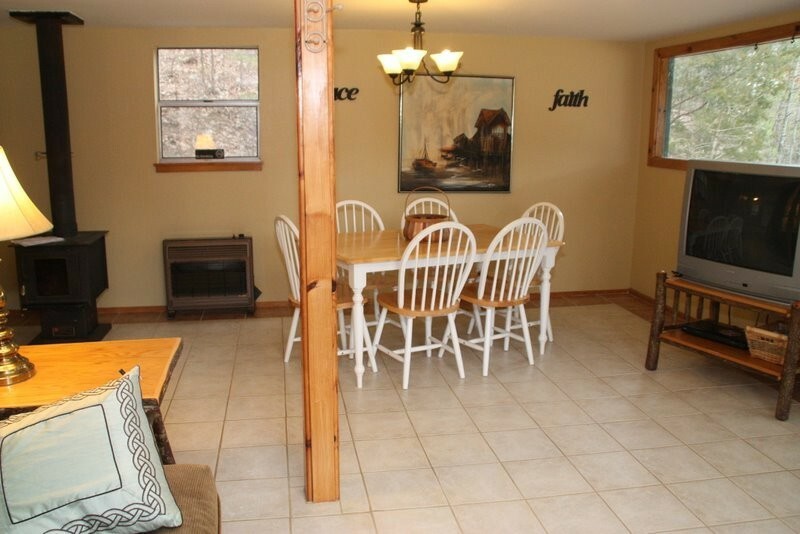 The Chalet can comfortably sleep up to 10 people, in the privacy of the beautiful Ozark Wilderness. 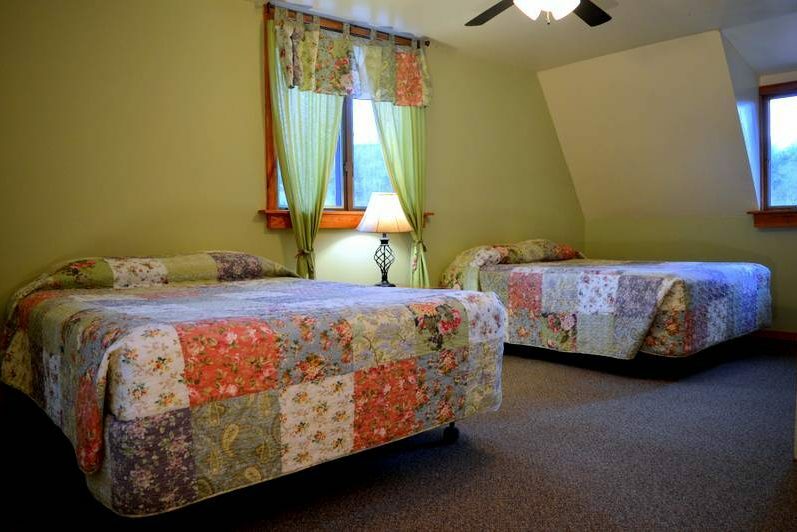 It has 3 queen beds, 1 full size, and 1 queen sleeper sofa. 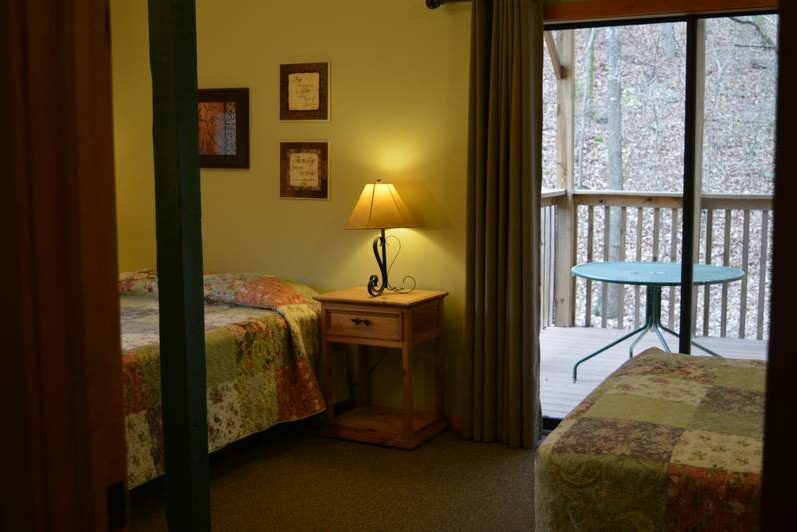 It's the perfect Missouri trout lodge for your trout fishing or family vacation. 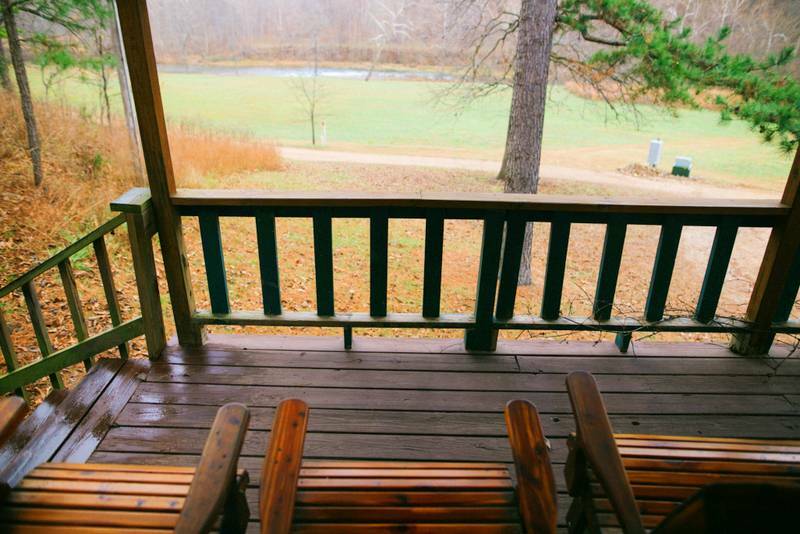 Check out the many attractions in and around River of Life Farm. 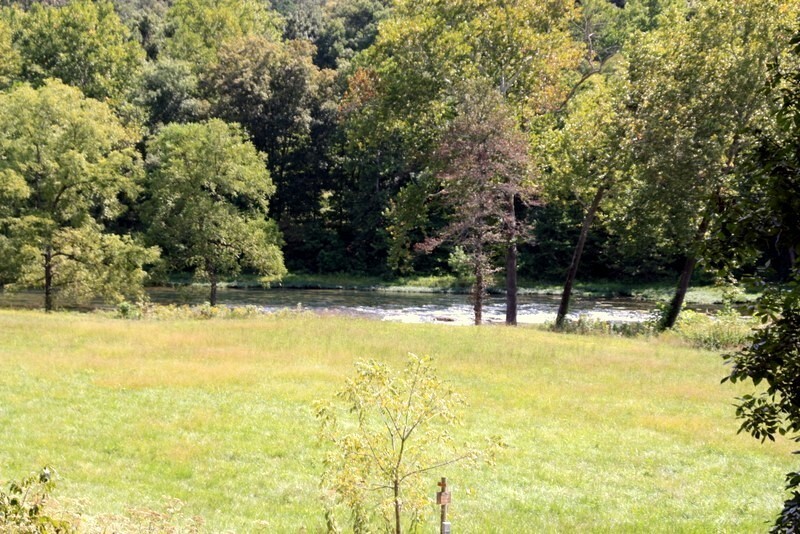 You might want to do some hiking or plan a float trip on the North Fork River.